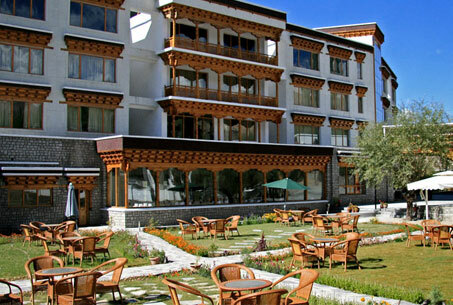 Ladakh Means The Land Of High Passes, Also Known As The Land Of Endless Discoveries, The Moon Land. Due To Its Nearness And Resemblance To The Tibetan Culture It Is Also Called Little Tibet. Ladakh Is Situated On The Northern Part Of India At An Altitude Of 3500 M. Making This The Highest Inhabited Region In India. The River Indus With Its Tributaries Slice Their Way Through The Mountain Range Of Ladakh. Ladakh Is Bounded By The Great Himalayas In The Karakoram Ranges And Gifted With High Mountain, Valleys, Lakes, Beautiful Ancient Buddhist Monasteries On Hill Top And Their Resident (Monks) Chanting Prayers. Remote Though It Is, Ladakh Has Never Been Totally Isolated. Over The Centuries The Trade Route From India To Central Asia Passed Through This Area Undeterred By Its High Passes And Desert Landscape. Caravans Carrying Spices, Brocades, Pearls, Carpets And Tea Took Just Two Months To Cover The Distance Up To Central Asian Towns.Any Kind Of Personal Expenses Such As Tips, Laundry, Telephone Bills And Alcoholic Beverages. Around midnight arrival in Delhi. 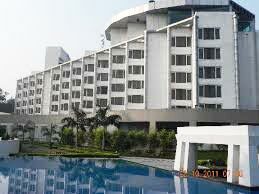 The cosmopolitan City and capital Delhi is the main gateway for travellers. 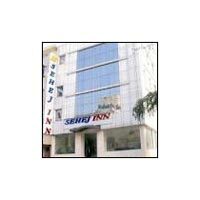 You are met by an Grand India representative and transferred to your Hotel. In the morning a short flight brings us to Leh, the capital of Ladakh. Due to its altitude (3500 m.) Ladakh is also known as the roof of the world. Leh was an important place in the historical times on the silk road to central Asia. The rest of the day is at leisure to acclimatize ourselves to the high altitude of Leh. Today we start our excursion by visiting the monastery of Thikse. Thikse is one of the most imposing monastery in Ladakh. The monastery has 12 stories, 10 temples, a nunnery and 60 lamas in residence. It contains numerous stupas, statues, tankhas, wall painting and a large pillar engraved with the teaching of Buddha. We can also see here a collection of Tibetan scripts. After the visit of Thikse we visit the village of Shey on the eastern bank of the Indus. Shey was the royal residence and was located at an important vantage point in the Indus valley. It has a large victory stupa which is topped with gold. After the visit of the monastery of Shey we visit the monastery of Hemis. The rich monastery of Hemis is the biggest in Ladakh and is perched on top of a pleasant green hill surrounded by spectacular mountain scenery. Today we start our day by visiting the monastery Spituk. 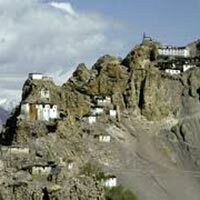 Spituk monastery (15th Century) is 8 km from Leh and is situated on a hilltop overlooking the Indus. Spituk valley has an enormous status of Kali whose face is unveiled once a year during the Spituk festival. This monastery also contains an ancient collection of masks. 135 yellow capped monks resides in this monastery. After the visit of Spituk we shall proceed to the Gompa Phyang which is a traditional monastery setting for a spectacular religious festival with masked dancing. There are 50 red capped monks residing here. After the visit of Phyang we have a stopover at the Choglamsar village where we have a look at that arts and crafts made by Tibetan refugees. 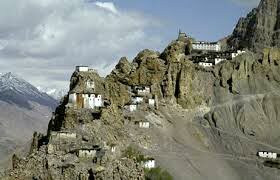 Lamayuru is 125 km away form Leh and is the oldest known Monastery (Gompa) which dates back to the 10th century and is overlooking the Indus river. This Monastery belongs to a Red Hat sect. Lamayuru is considered a sacred site for the Pre Buddhist religion known as the BON. There are renowned collection of carpets, thankas and frescoes. Overnight stay in comfortable tent camp. In the noon we drive from Lamayuru to Alchi through the exciting landscaping of Ladakh. Alchi has been declared as an UNESCO monument. The Monastery of Alchi is a large temple complex and is regarded as one of the most important Buddhist centers in Ladakh and a jewel of monastic skill. In the afternoon we drive to the Monastery of Ridzong which also has a nunnery. We have a walk here in the beautiful surrounding of this area. Overnight stay in comfortable tents. n the noon we drive back from Alchi to Leh. Leh Palace in the NW has been described as a miniature version of Lhasa's Potala palace, with which this 17th century building is contemporary. This Potala (palace) rises up like mountain. From the town below it is dazzling in the morning sun and ghostly at night. We enjoy the wonderful view of the city and beautiful surroundings from the roof of the palace. This palace was built by the King Singe Namagyal and still owned by the royal family. At present is this palace not occupied as the royal family resides in the other palace in stock. In the noon flight from Leh to Delhi. In the afternoon we visit Bahai Temple, also known as Lotus Temple which is built out of white marble and in the characteristic shape of a lotus flower. Bahai temples are 9 sided, symbolizing comprehensiveness, oneness and unity. We visit this unique building which gives the message of unification of the human race. The rest of the day at leisure. 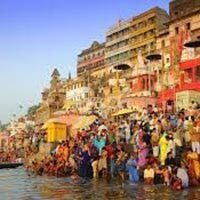 Today we have the sightseeing in Delhi. We take a Rickshaw Ride parallel to the Red Fort through the old city and famous Silk Road and Silver Bazaar. 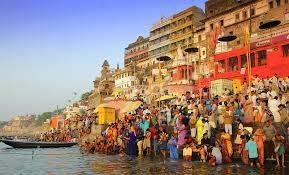 Sightseeing of Old Delhi includes "Rajghat", the site where Mahatma Gandhi was cremated and Jama Masjid, the great mosque of old Delhi. Today we also visit the famous "Humayun Tomb". Humayun Tomb is the first substantial example of Mughal architecture in India. Before we proceed to the Hotel we drive through the embassy area in New Delhi where we visit the India Gate and see some impressive Government Buildings. After the Dinner and refreshment in the hotel we will be transferred to the Airport. Around midnight flight from Delhi to home destination. Any Kind Of Personal Expenses Such As Tips, Laundry, Telephone Bills And Alcoholic Beverages. 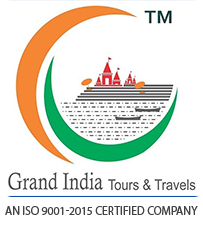 Tour Reservation To get more information or to book this tour please submit the Query Form or send us an e-mail ! Your booking will be activated only after we get a reconfirmation from your side.